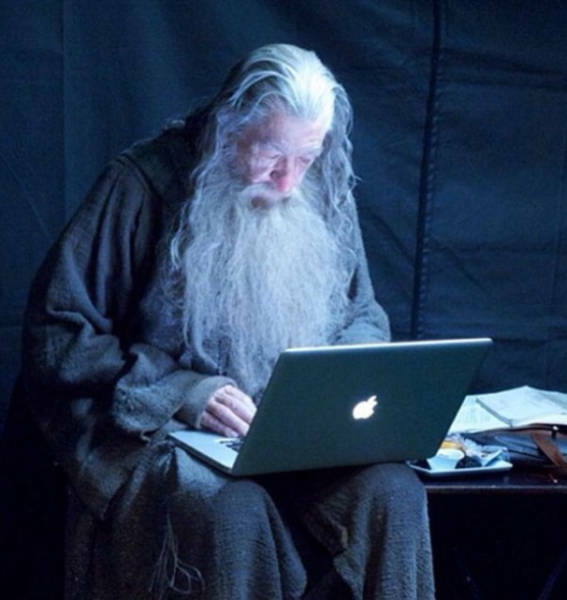 Gandalf checks his email between takes. 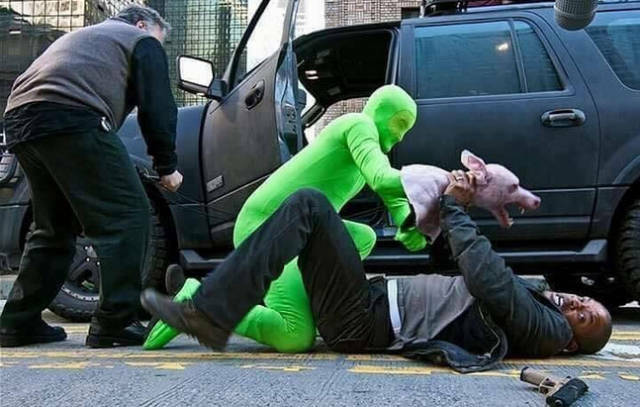 The attack of a wild dog in the movie I Am Legend. 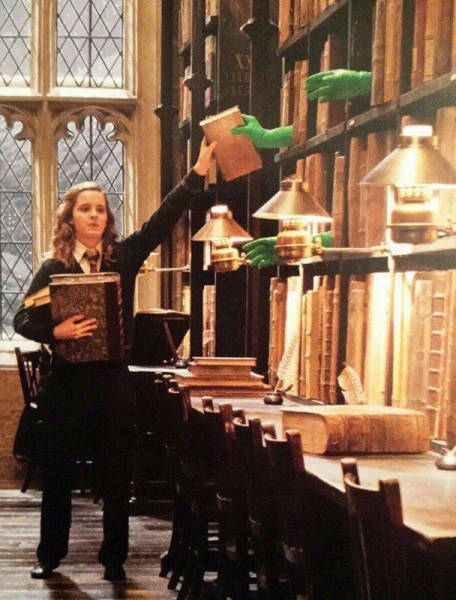 And this is how the books flew in Harry Potter. Kill Bill: Uma Thurman and her stunt double. 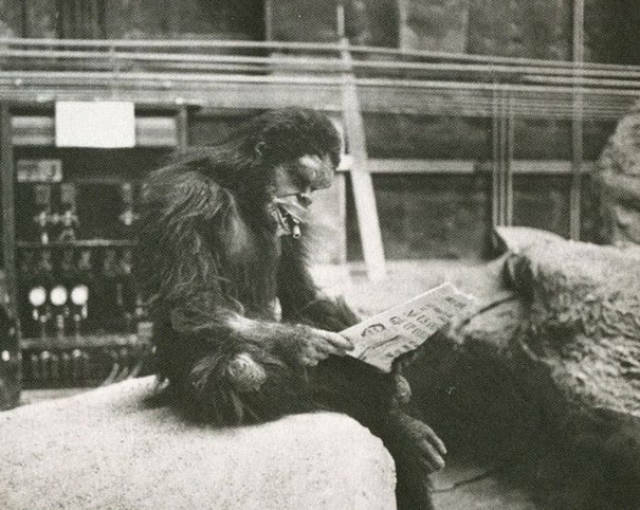 A monkey from the times of the origin of mankind behind the scenes of 2001: A Space Odyssey. 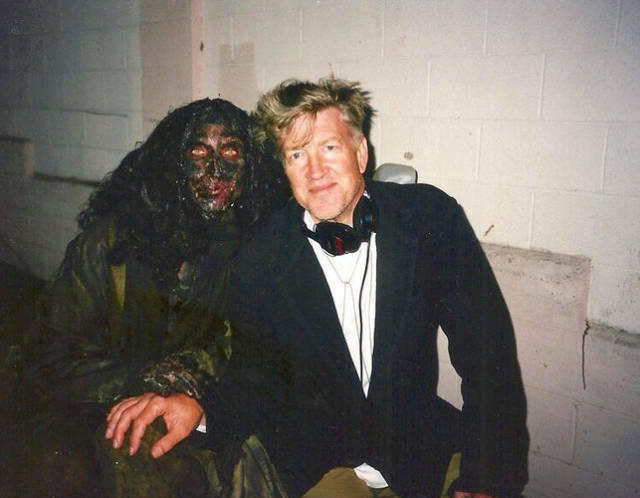 On the set of Mulholland Drive. 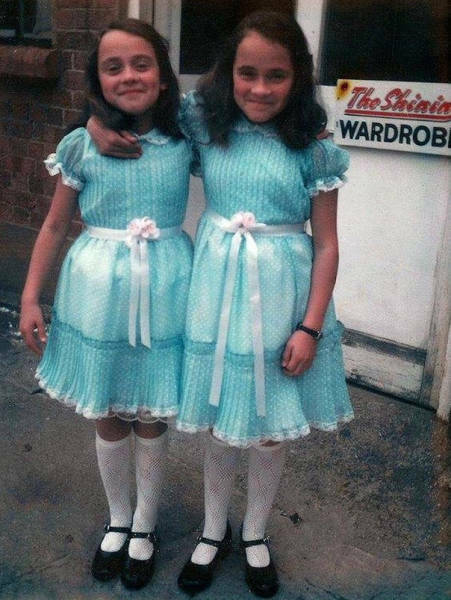 The frightening twins from The Shining. La La Land dance rehearsal. 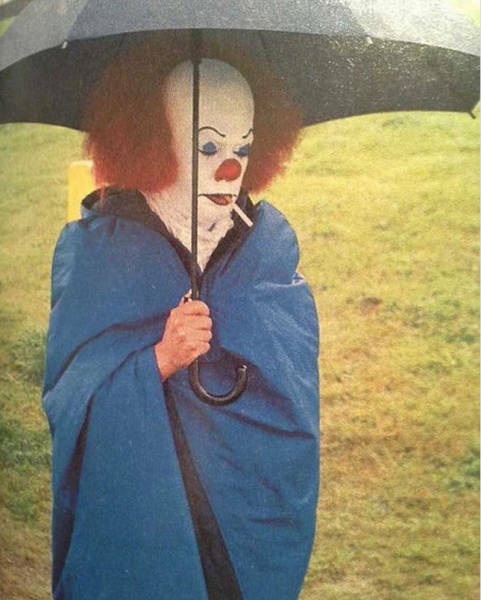 It got cold and decided to smoke. 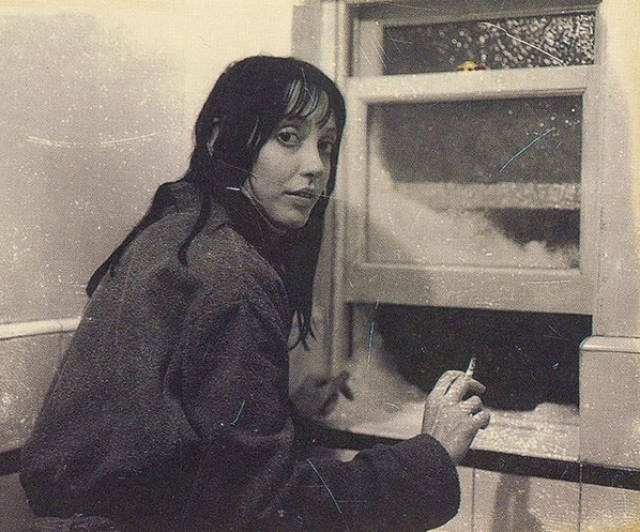 So did Shelley Duvall — she’s having a rest from Kubrick on the set of The Shining. 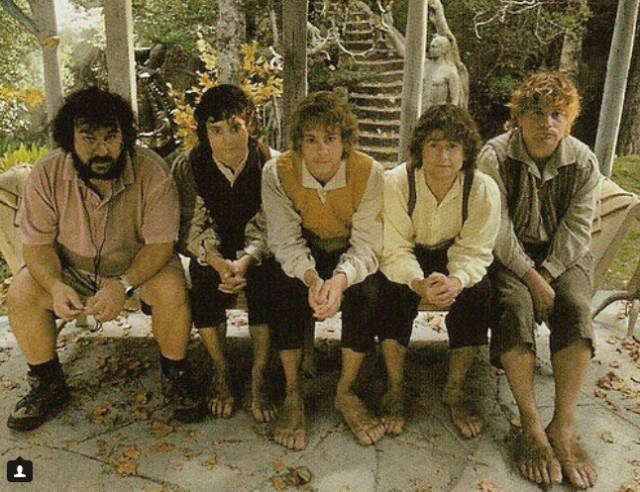 Hobbits sitting with Peter Jackson before the Council in Rivendell. 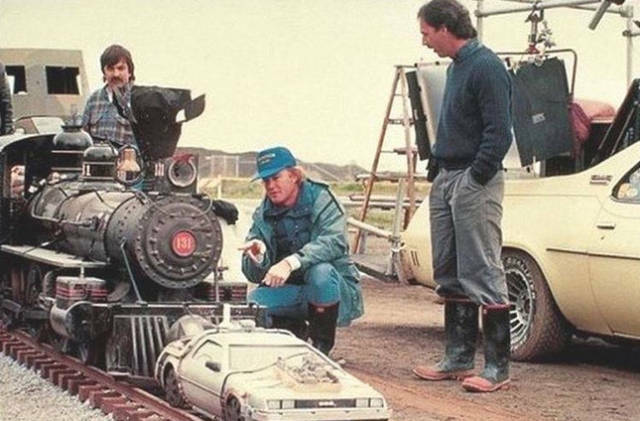 The shooting of the climactic scene for the third part of Back to the Future. 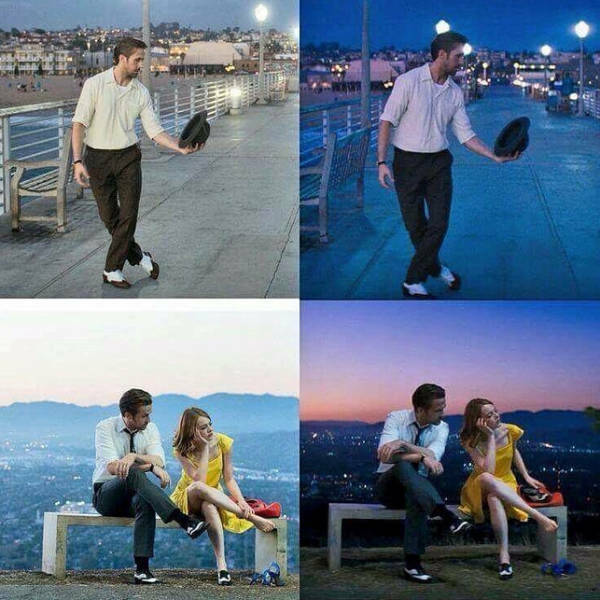 La La Land again: before and after color grading. 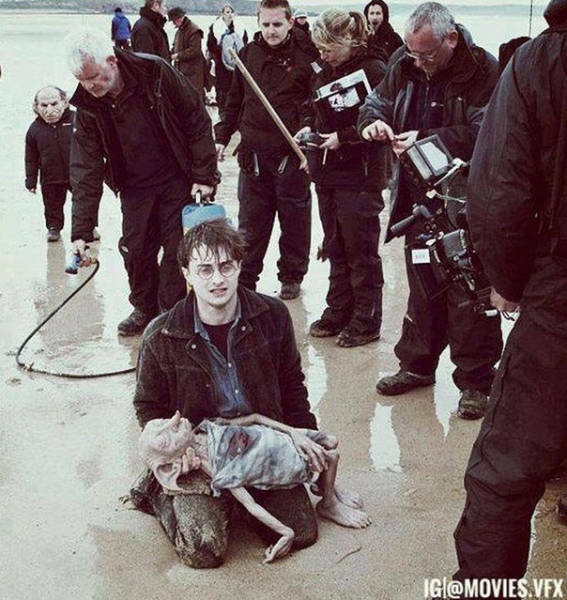 Harry weeps for Dobby on a deserted beach. 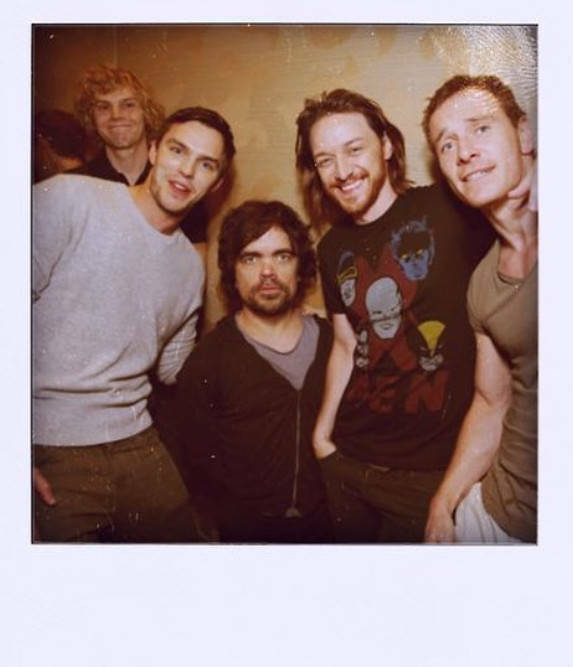 The X-Men: Days of Future Past audition. 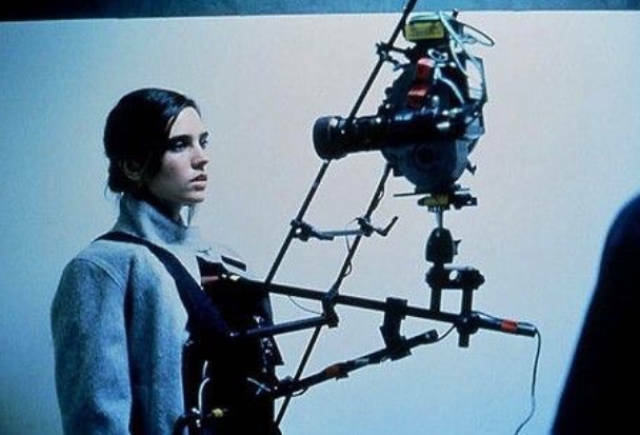 A Requiem for a Dream close-up. 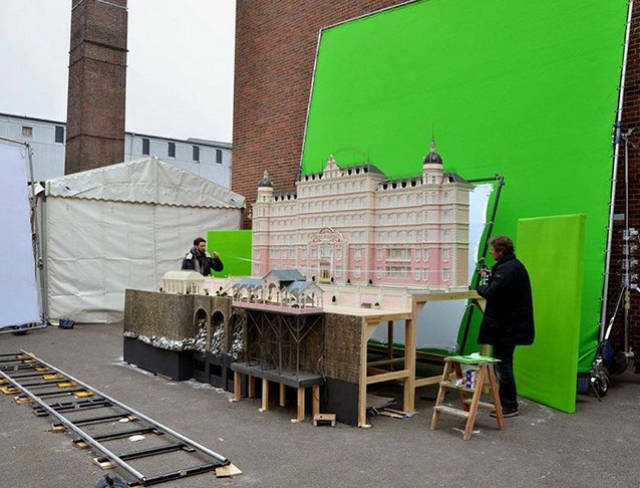 Iñárritu with his Birdman characters. 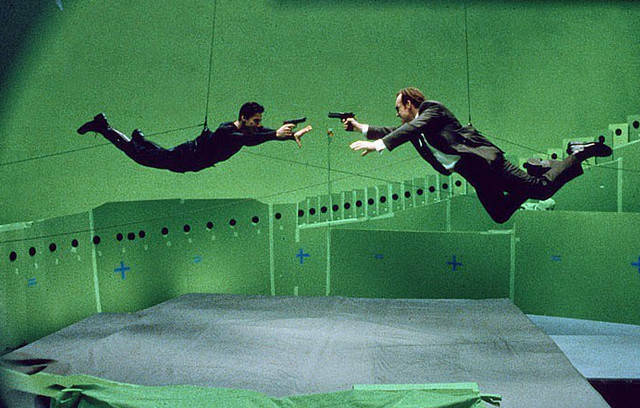 The famous scene from The Matrix through the eyes of the film crew. Robert Rodriguez teaches Rose McGowan how to dance in Planet Terror.